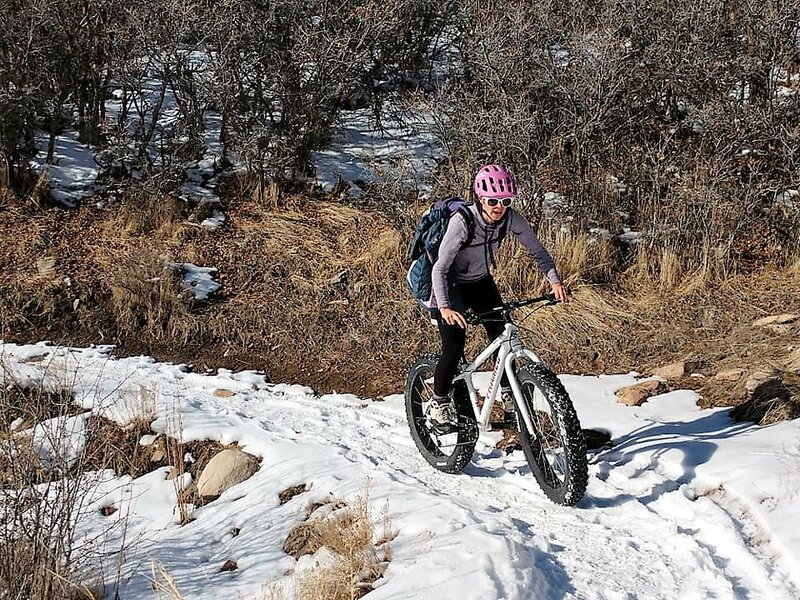 Over the past few years, fat biking has become increasingly popular, but the number of women’s specific fat bikes can still be counted on a few fingers. That’s not necessarily a problem when manufacturers are offering small frame sizes in their gender-neutral fat bikes, but there really aren’t that many of those either! No worries. We’ve rounded up what we consider the best women’s fat tire bikes. 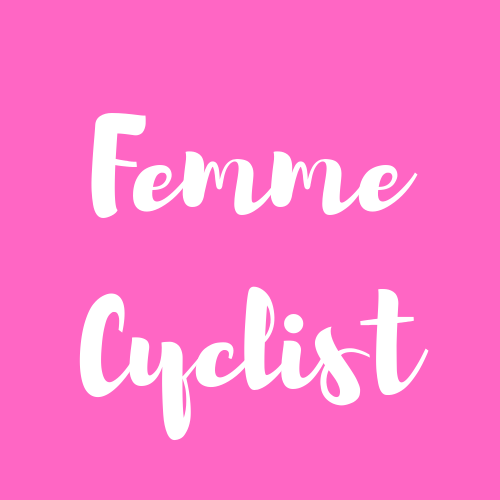 Some of these are women’s-specific, others just work well for women due to smaller frame sizes, color options, and appropriate geometry (low standover, narrow cranks, etc). Framed is making some of the only women’s-specific fat bikes out there and also some of the most affordable fat bikes. They Minnesota 1.0 and the Minnesota 2.0 both come in a women’s version and give you a bunch of bang for your buck. Thanks to the direct-to-consumer model you can have one shipped to your front-door. Which we appreciated because who wants to go anywhere in the winter? For more information, read my detailed review of the Framed Minnesota. Pivot does a good job of making smaller sized frames, and the Pivot Les Fat is no exception. The lighter weight of the Les Fat also makes it a good choice for women. Yes, it’s expensive, but the bike’s versatility makes the pricetag justifiable. 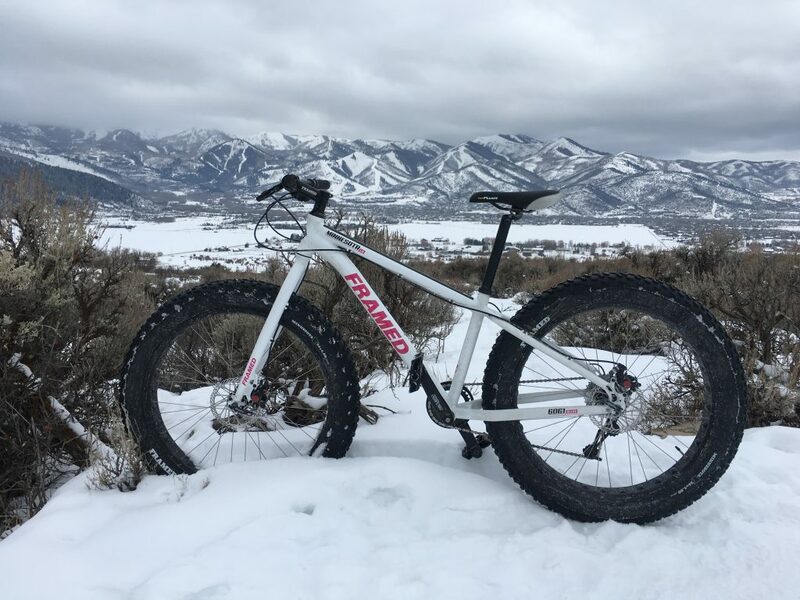 Thanks to the 100mm fork and the ability to swap out wheel and tire sizes, the Les Fat is not only good for the snow, it can also be used as a trail-bike. The unique rear dropouts accommodate 26 or 27.5-inch fat tires or 27.5 and 29 plus tires. If you want adventure, the Salsa Mukluk can get you there. The bike comes is rear-rack compatible and has multiple water-bottle and accessory mounts. Other cool things about this bike including routing for a dropper post, adjustable dropouts that let you convert the wheelbase length, and a carbon fork. The Mukluk is also a good pick for women thanks to an XS frame option (fits women as small as 5 feet) and narrow crank width. The big mama of fat bikes, the Borealis Crestone is one of the best fat tire bikes that money can buy. It comes in a variety of builds, none of them particularly cheap, but all of them undoubtedly fabulous. What makes your drool most: the full carbon frame, the Mantiou Mastidon suspension fork, or the GX Eagle drivetrain? Whatever kind of riding you want to do: snow, trail, bikepacking, the Crestone will do its best to make it possible. I want this bike based solely on how pretty it is. Paint job aside, the Specialized Hellga is a well-thought steed designed specifically for women. It has a low standover, women’s-specific saddle, and narrow bottom bracket. We also like the ultra-beefy 4.6″ tires and the SRAM X5 drivetrain. If you want to get around this winter, the Specialized Hellga is a good way to do it. The bad news is that Specialized is no longer making the Hellga, but as of January 2019, we were able to find several in stock near us, so you can still find them around. You might even be able to get a good deal. Budget is the easiest and most obvious place to begin. Like all bikes (and most things in life really), you get what you pay for. More expensive bikes are lighter, have nicer components, and are more enjoyable to ride. For many of us, however, a fat bike is an “extra” bike. One we use for the occasional snowy ride or beach cruise. If that’s you, you shouldn’t be ashamed to buy a decent, entry-level fat bike. Except to spend $500-$1,000 for a bike with a quality frame and components. If you plan on doing extensive winter riding, or even want to use your fat bike for trail riding, then save up and add a bit more to your budget. Fat bikes have not escaped the great wheel size debate. While most fat bikes use 26″ wheels, more and more are being offered with 27.5″ wheels. In general, the bigger wheels are faster rolling and get up and over obstacles easier. In addition to the wheel diameter, you’ll also want to pay attention to rim width. The wider the rim the fatter the tire that you can run. Some more expensive fat bikes are now being designed so that you can swap wheels. 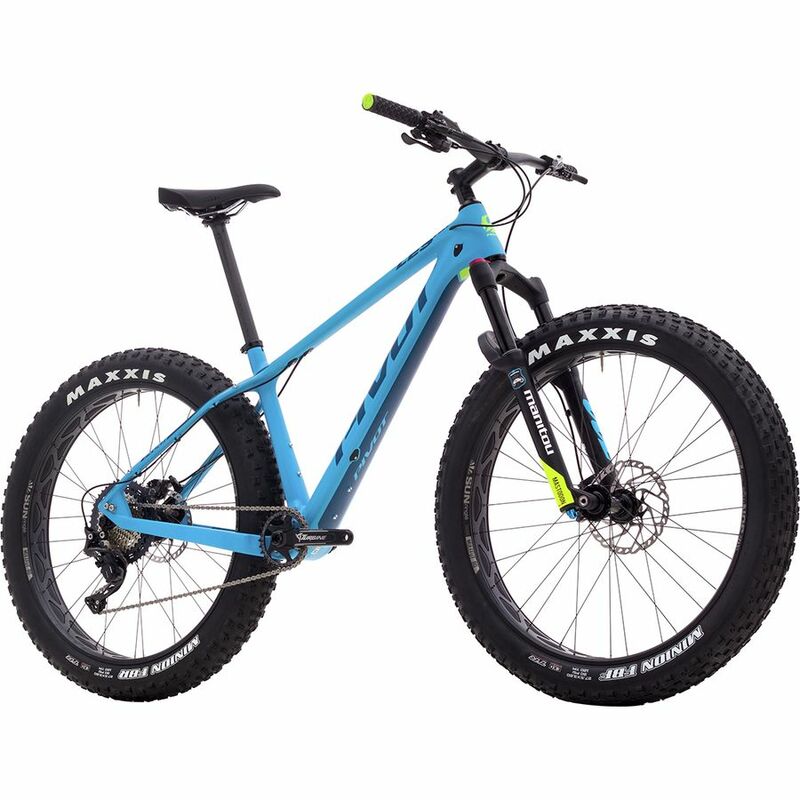 Ride 26″ fat tires in the winter, and 27.5″ plus-sized tires in the summer. This is a great option if you only want to invest in one bike, although it requires purchasing a second wheelset. “Fat” tires are generally considered to be tires that are 4-inches or wider, often up 5-inches. 5″ tires can be run with lower pressure and do better in softer and deeper snow, but also come with a weight penalty. 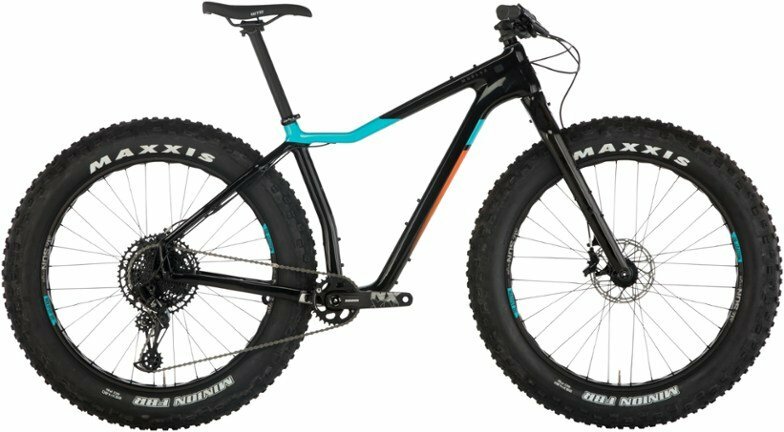 Another trend is toward mid-fat tires. These aren’t true fat tires and are less than 4″ but may do well in packed conditions and for lighter weight riders. (Ladies do particularly well on the smaller tires). Most fat bikes are fully-rigid. 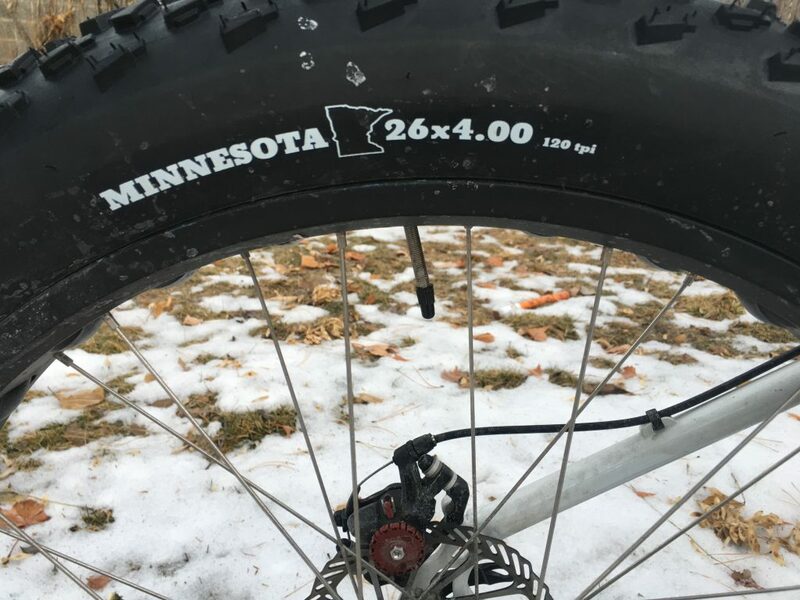 In general, a rigid fat bike works pretty well since many of the obstacles you’d normally encounter in winter are covered up with snow and because the fatter tires allow you to ride with extremely low tire pressure. Low tire pressure makes for a pretty squishy and comfortably ride even without suspension. That said, there are times you might want to invest in a suspension fork or even in a full-suspension fat bike. 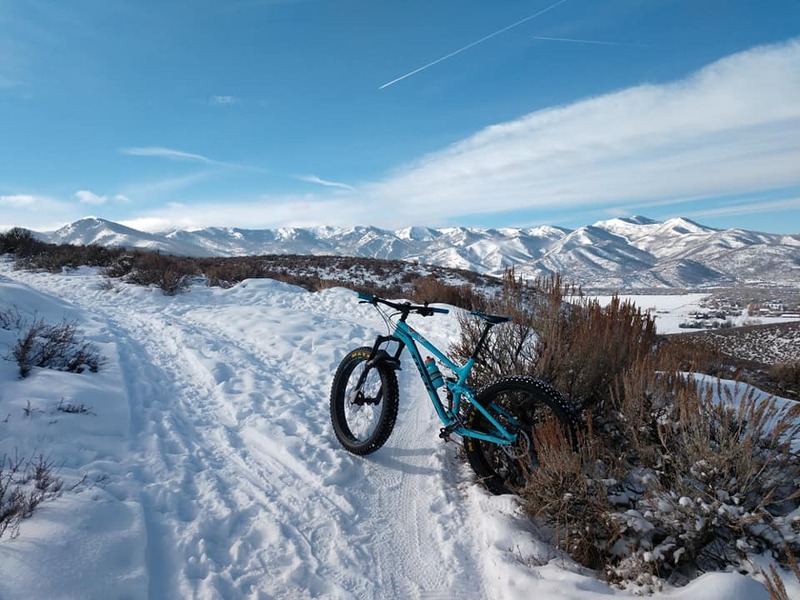 If you want to use your fat bike for trail riding or if you ride in mixed conditions (part snow, part rock), suspension can make things a lot more comfortable. I’ve found even on days where the snow has seen a lot of traffic and frozen up that all the post-holes can be uncomfrotably bumpy. 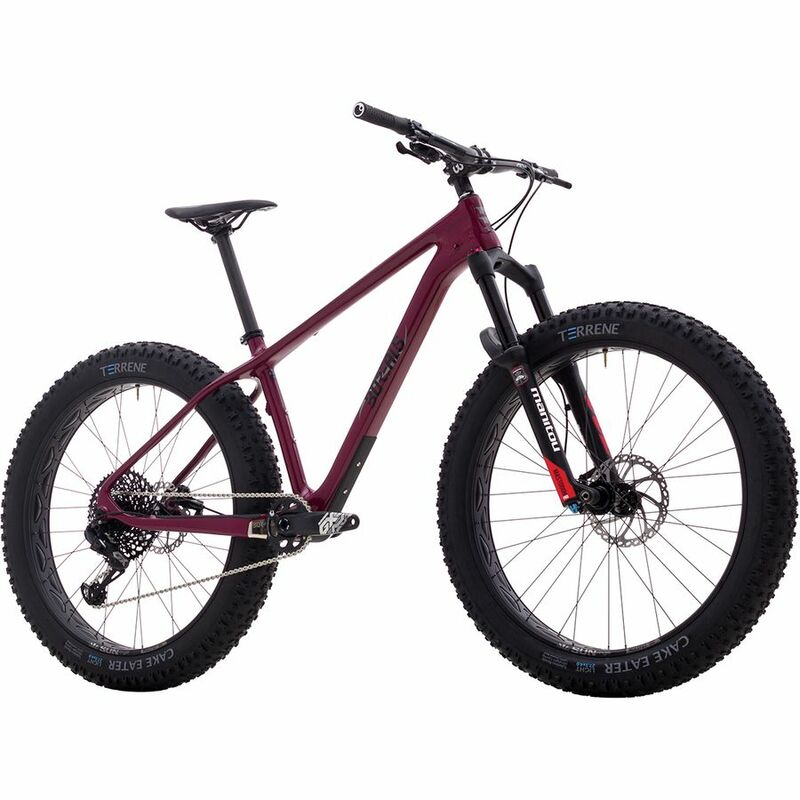 One of the biggest issues smaller women will run into with fat bikes is the frame size. There simply aren’t that many options for petite ladies. We’ve tried to come up with some of the smaller frames to include in our list, but be careful to pay careful attention to size when shopping. When fat biking in snow or sand, you might be surprised to find out how often you end up off the bike walking. Frequent pushing, mounting, and dismounting mean that you need a frame this is not only comfortable to pedal but also comfortable to maneuver on and around. So don’t be tempted to go for a 16-inch frame if it’s too big for you! I’m 5’6″ and just barely fit on the Framed Minnesota 15-inch.